Bring Me The Horizon are on a wave. Since we filmed their biggest ever headlining show at Wembley Arena in December 2014 the band had released the chart topping 'That's The Spirit' long player, an album that shifted perceptions of the band and hurled them head first onto the Radio One A list. In April 2016 the band were to undertake a project that would take everyone by surprise. 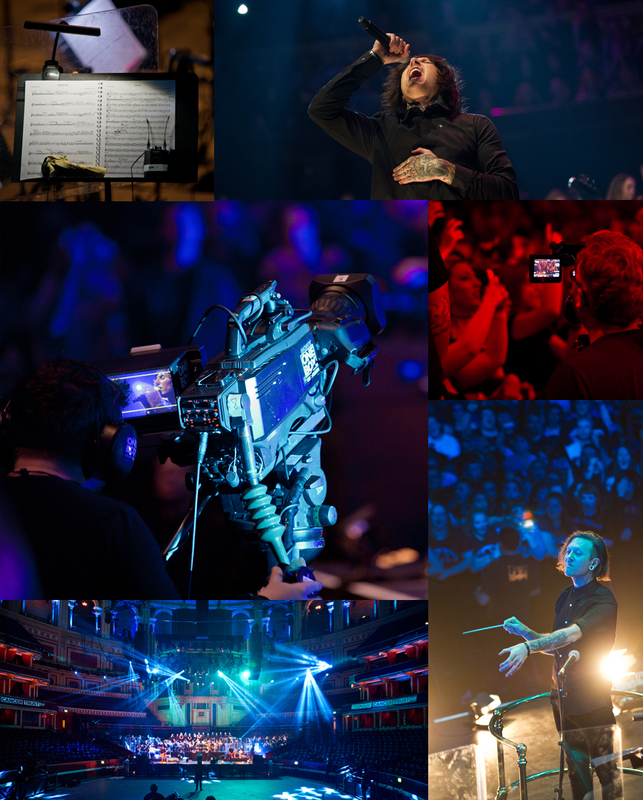 Invited to be a headliner at the annual Teenage Cancer Trust shows at the iconic Royal Albert Hall, BMTH decided to use the occasion to push the envelope and set out to play a full set with a 50 piece orchestra and a 14 strong choir. Of course, it had to be filmed. Having scored a number one title with the band's Wembley show we once more teamed up with LiveHereNow and the band's management, Raw Power Management, to set out to create a stunning film of the evening. The pre-production period also saw filming of the intense preparation for the show. Tom Sykes, brother of the band's singer Oli, shadowed keyboard player and songwriter Jordan Fish as he worked with conductor Simon Dobson and Parallax Orchestra leader Will Harvey to create the scores and with choir leader Kat Marsh. Tom's work was then fashioned into short documentary vignettes that appear in the final concert film between songs and help tell the story of the show. For the concert itself we returned to the venue where we shot 2014's 'Celebrating Jon Lord' show which also featured a full orchestra. A 14 camera set-up including a jimmy jib in the Upper Gallery and tracking cameras in the hectic pit area witnessed a show that, not putting too finer point on it, will become legend. During the frenetic 90 minute onslaught of metal, brass and strings, the Royal Albert Hall experienced its very first wall of death, circle pit and a barrage of language that Last Night Prommers would find very inappropriate. It was amazing. The film was premiered at the Curzon Mayfair in December 2016 and the finished project was released in late December 2016 via Pledge Music, and has raised an astounding £100,000 for the Teenage Cancer Trust.